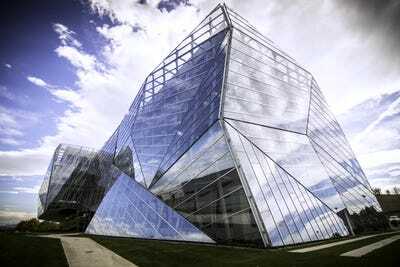 Commercial buildings are often boxy and glassy structures designed to maximise indoor space. 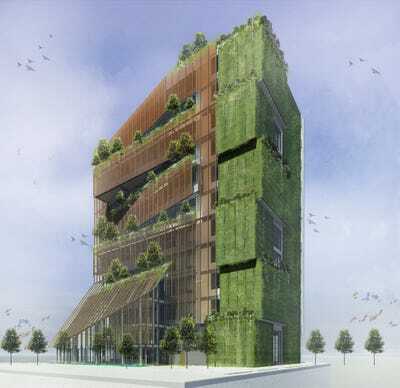 But recent studies show that these modern buildings use more energy per square foot than office buildings built a hundred years ago. All of our advances in building technology can’t overcome the fact that with so much glass, these building are hard to keep cool. In Spain, many contemporary commercial buildings use a simple and beautiful approach to solve this universal design problem. Call it the architecture of wrapping. By adding an outer layer beyond the glass to control solar exposure, these Spanish buildings use minimal energy to keep occupants comfortable. This also allows the architects to add just the right amount of natural light inside to reduce energy-intensive artificial light. The buildings take on a unique character. As I discuss in my book, “The Hyperlocalization of Architecture,” a Barcelona library’s wrapping mimic books in a shelf, a Madrid police station transforms from a steely blue during the day to a lantern at night, and an office building in Bilbao reflects the fragments of a busy neighbourhood around it. 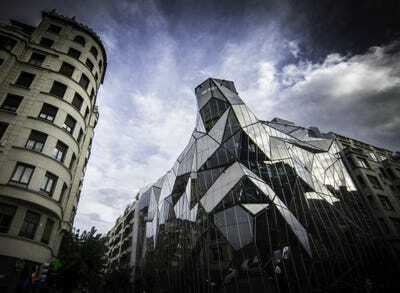 The Basque Health Department Headquarters is designed to stand out in the city of Bilbao. Its double exterior 'skin' is suspended on a stainless steel scaffold protecting the glass curtain envelope and walkout balconies. The second skin wards off noise, glaring heat, and cool ocean fog while creating a connection between the interior and the exterior. 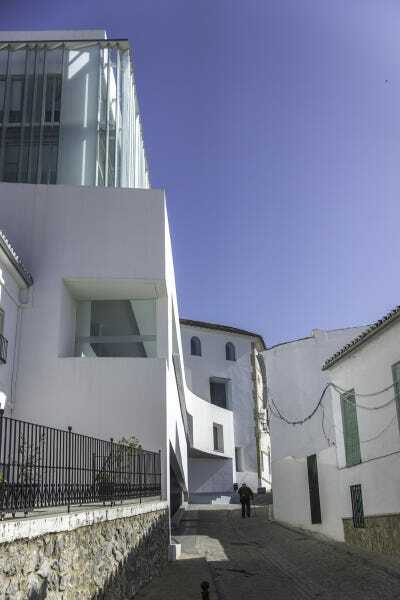 The fragmented glass in the structure reflects neighbouring buildings while drawing the sky to street level. Barcelona's Biblioteca de Can Llaurador yawns out of the landscape, gently funelling in passersby. Inspired by a bookshelf, the eastward light shelves cut the morning glare while giving the entrance an engaging presence. 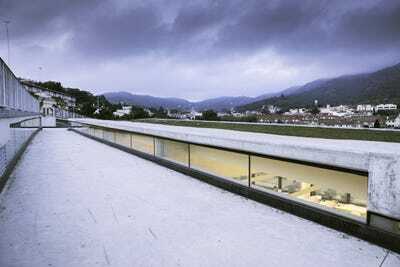 The library turns and faces out to the town, to capture the weather, light, landscape, buildings, and movement of people. The architects of the Comisaria Fuencarral police station in Madrid mimicked the panopticon method developed in the 18th century for guards to scan an entire prison cell ward from a single point. The intent is not for criminals in this case, but for citizens to observe the police. 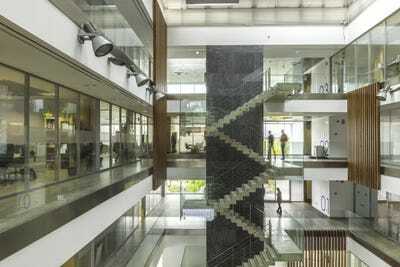 There are few opaque vertical surfaces in the building, except for interview rooms and private offices. 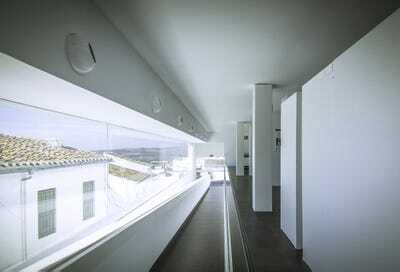 The second skin reflects the ambient light during the day, protecting the structure from excess heat. In the E8 office building in Vitoria Gasteiz, large facets of glass draw the reflection of the sky down to the earth, as though the building is in the process of disappearing. The second skin provides solar control and wind protection, which in turn reduces energy use. 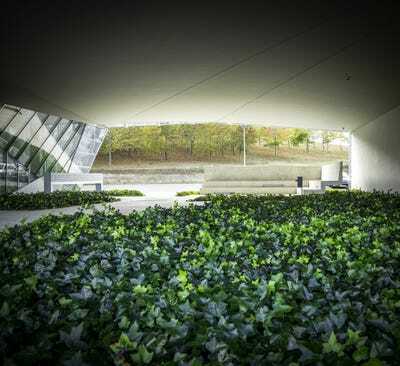 Small reminders of nature are embedded in the landscape of the building, including a forest in the parking lot and a garden wrapping the perimeter. 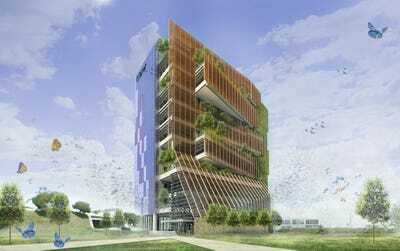 The Ferrer Research and Development Center in Barcelona is designed to create biodiversity. It has one wood wall that harbours trees and shade. Another wall collects solar energy, and yet another has vertical shading in the colours and patterns of butterflies. The fourth wall is all greenery, watered by the graywater of the building. The Institute of Neurosciences of Castilla y León, located in Salamanca, cuts into its sloping site and replaces the original landscape with a new one. The vegetated roof is punctuated with four skylights and two light wells, and skirted in a generous deck. 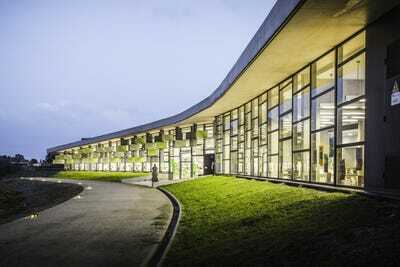 The building is influenced by the architecture of the brain. 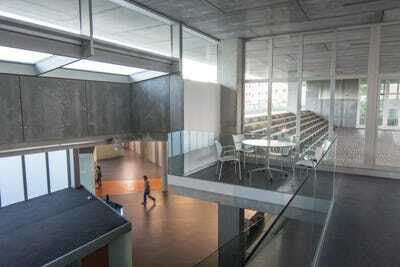 A lecture hall and learning environments are in the upper part of the building. 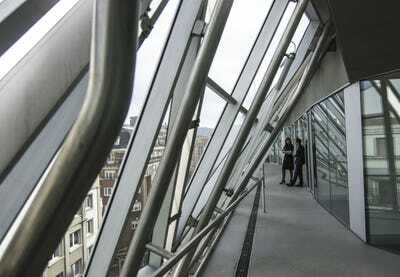 On the main level is a distributed open network of workspaces fed by a circular open hall. The subterranean level houses the testing labs. New City Hall Archidona, located in the southern village of Archidona, has four levels. An auditorium slopes in unison with the street. Above are two floors of offices saturated with diffused light that comes through a curtain of sandblasted glass.